Rockstar Tom DeLonge today Live Streamed the launch of his latest venture, To The Stars Academy of Arts & Science. 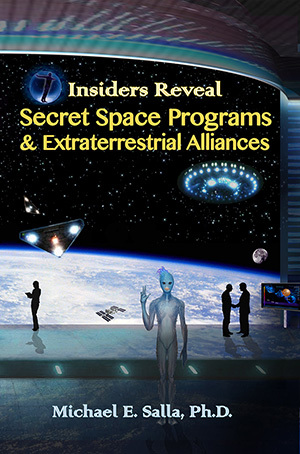 During this Live Streaming he introduced a number of former aerospace scientists and defense department personnel knowledgeable in applying exotic information gained from the Unidentified Aerial Phenomenon (UAP – aka UFO) for the development of advanced transportation technologies. Each of the presenters at the Live Stream explained some of their expertise acquired during their careers and how it could help in the development of a transportation revolution. This is exemplified in the effort to develop a space-time device that could make transportation around the globe possible in a matter of minutes. A graphic of the planned device was shown in the Live Streaming. This is a concept for an international point-to-point transportation craft that will erase the current travel limits of distance and time. It mimics the capabilities observed in unidentified aerial phenomenon by employing a drive system that alters space-time metric. We have glimpses of how the physics of this works, but we need to harvest technologies from the Science Division to “realize” the capability. Elon Musk recently discussed his newest initiative involving the “Big F*ucking Rocket” (BFR) which is based on reusable rocket technology to cut travel between major cities to under an hour in his address to the International Astronautical Congress in Adelaide, Australia. 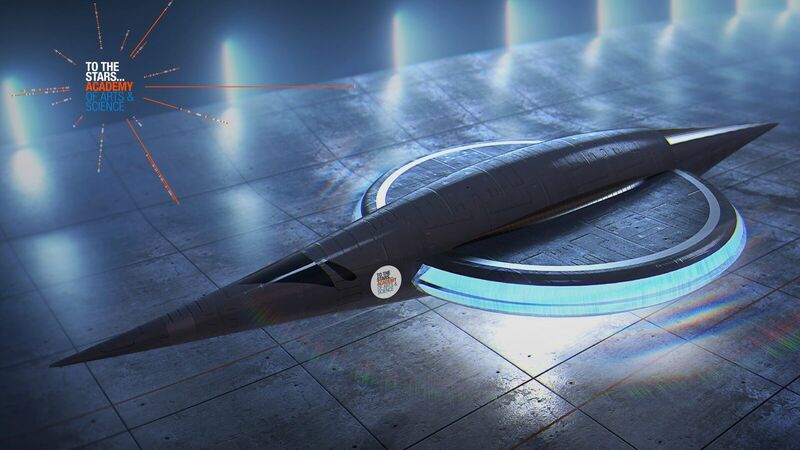 DeLonge’s team is laying a more futuristic vision using more advanced space-time technology. DeLonge emphasized how groundbreaking it was that individuals with former deep access to the classified aerospace industry were willing to go on the public record in being an integral part of the To The Stars Academy. What was unsaid is that such individuals have worked in classified aerospace projects where these very space-time technologies have been successfully developed, and are operational in secret space programs, as insiders including former aerospace engineer, William Tompkins, have been revealing. Last year, DeLonge met with Tompkins, who recently passed away on August 21, 2017. The meeting was also attended by former McDonnell Douglas scientist, Dr. Robert Wood, who has played an important role in verifying Tompkins’ information about an alleged US Navy Secret Space Program. DeLonge couldn’t believe that his team of government and military insiders would have been denied knowledge of such a Navy run space program if it was genuine. Nevertheless, evidence continues to grow that both the Navy and US Air Force have their own separate aerospace programs using space-time technologies. 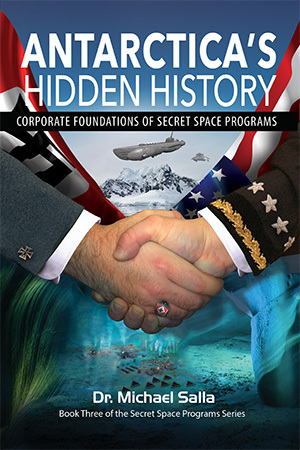 DeLonge’s co-authored book, Sekret Machines Book 1: Chasing Shadows (2016) described such a classified Air Force program, and suggested that non-fiction books would appear with more information about it gained from his team, at the time, of 10 advisors. DeLonge’s 2017 book, Sekret Machines: Gods: Volume 1 of Gods, Man & War, was a big disappointment in that regard. His promised disclosure of a USAF secret space program appears to have stalled. The new acronym for sightings of craft belonging to secret space programs is UAP, which appears to be an attempt at distancing the study of such craft from the long standing UFO field of investigation and its extraterrestrial connotation. DeLonge’s initiative has parallels to Dr. Steven Greer’s earlier Sirius Project, which tried to revolutionize the transportation industry by having inventors and whistleblowers collaborate in releasing new energy technologies. Ultimately, Dr. Greer failed to break through the restrictions imposed by the national security system set up to prevent the public release of such technologies. Back in the late 1960’s, Dr. Robert Wood ran a study of UFO sightings in order to determine the commercial viability of antigravity performing technologies for the McDonnell Douglas aerospace company. Ultimately, limited funding led to the end of Dr. Wood’s study. It appears that DeLonge may have better luck in achieving this breakthrough given the support he is receiving through the military community and elements of the aerospace industry. He hopes to crowdfund his To The Stars Academy. A promotional video was shown at the livestream providing information on how the public can support DeLonge’s initiative. Many will be disappointed in DeLonge’s failure to get insiders to reveal their knowledge of classified aerospace projects that use space-time technologies. Nevertheless, his To The Stars Academy deserves support, as much as Musk’s BFR initiative, since both will help open public imagination to the possibility of a profound transportation revolution. We already have the means to travel among the stars, but these technologies are locked up in black projects, and it would take an act of God to ever get them out to benefit humanity. Anything you can imagine, we already know how to do. DeLonge’s To The Stars Academy of Arts and Science, doesn’t qualify as such an act of God, but it is a small step forward in facilitating such a breakthrough.